The Mouse Rocketine is a Physical weapon. Off with their heads! 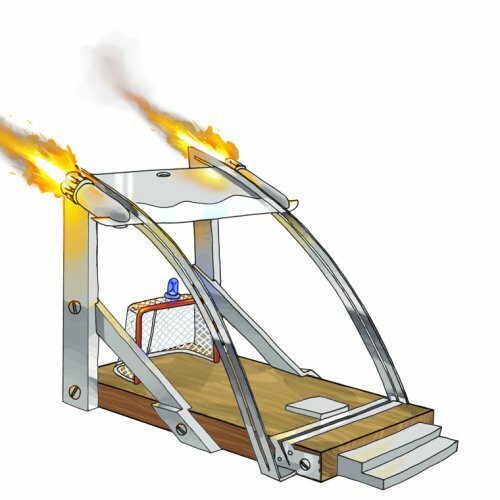 This super-charged, rocket-powered version of a guillotine is the perfect way to hold all those criminal mice accountable for stealing your precious cheese. The Mouse Rocketine can be purchased for 18,700 gold from the Town of Gnawnia and King's Gauntlet Trapsmiths. It refunds for 3,375 gold at the same locations. 18 March 2008: The Mouse Rocketine is released. This page was last edited on 13 January 2019, at 13:23.